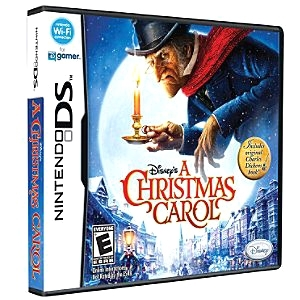 Inspired by the Dickens tale re-imagined by Robert Zemeckis, Disney's A Christmas Carol for Nintendo DS is an innovative puzzle-adventure game celebrating the spirit of the holidays with a Scrooge twist. The game invites a new generation to connect with the illustrious story and characters like never before and is sure to become a tradition embraced by the whole family. This keepsake from the movie will provide hours of festive entertainment and is destined to be an instant classic. Made in the USA. Rated E for Everyone.